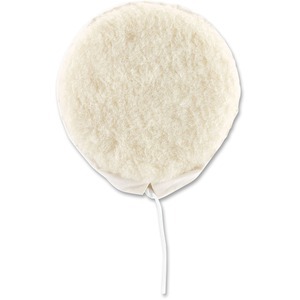 Lambs wool bonnet is made from a super soft material to create a high shine on a variety of floor surfaces. Easy-to-install design allows fast, simple replacement to minimize your time spent on maintenance. Multisurface construction is perfect for use on wood, tile and vinyl surfaces. Wool bonnet is designed for use with the Oreck Orbiter floor machine (sold separately).